It's never a great time: you figure out you have a legal problem, and need to find a lawyer. But, how do you start? The old way was difficult, time consuming, and often expensive; referrals, calling up lawyers, going through initial consultations. To shortcut what has been an antiquated way of connecting consumers with attorneys, Los Angeles startup LawKick (www.lawkick.com) has created an online, easy way to match up clients with lawyers, through a set of simple questions and answers about different kinds of legal problems. We spoke with Michael Chasin, the company's co-founder, about the startup. 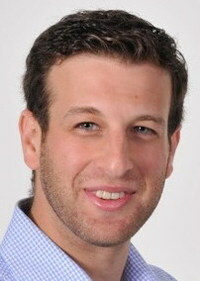 Michael Chasin: LawKick.com is essentially a marketplace that makes it easier than ever to find legal help. How the website works, is the client goes to the website, and indicates what they need help with. There are over 100 different questionnaires on the website. They're actually initial consultations, ranging from divorce to DUI. You fill out the short questionnaire, lawyers submit their price quotes, and they get hired. That happens in just a five minute process. You put your project up, and shortly thereafter, you get price quotes from lawyers. The average client gets eight bids from attorneys near their location. It's interesting because you'll see a big price differential between the top and bottom lawyers, sometimes as much as a $1,400 discrepancy based on a flat free, with hourly rates of $150 to $425. In a long, convoluted way, the value proposition we bring to the client gives them many different options for lawyers they can choose from, not just based on price, but also based on their profile, experience levels, and client reviews. The value proposition we provide for the industry, is rather that you calling eight attorneys and having the same consultation eight times, and find out at the end that most of them were a waste of time because you were not a good fit, we've taken that initial step out of the process. What's the story behind the firm? Michael Chasin: I did my JD/MBA at Loyola Marymount in Los Angeles. My co-founder also was doing his law degree at Loyola as well, which is where we met. One day, I was talking with a friend who was trying to develop and app for a school event, and had created his own app creation company. I had been wanting to combined entrepreneurship and law, so we started brainstorming ideas. It took a while to do market research, but we ended up starting an app for law. He actually ended up dropping out of law school in his second year to pursue his app company. I finished my degree, and we started working on a law app, a question and answer app about law, to find if you were complying with the ethical rules of law. As part of that, we started asking professors for recommendations on who we could talk to, and we found out they only knew one person, or told us to check out a magazine, or Google this and that. It was kind of weird, but in 2012, instead of going online, we had to talk to eight different attorneys, got calls back from five or six after a week or two, and after two weeks we ended up having a conversation with all of them where they were asking the same questions every time, investing in a thirty minute consultation at the end of each call, and then end up telling us they needed a $5,000 deposit and that their hourly rate was between $300 and $450. It occurred to us that a startup company with limited funding is not going to pay $5000 upfront, and that we would have loved to know the prices up front and not have to go through the same eight conversations eight times. That's how we ended up developing this technology, to take that initial step out of the process. How has the attorney response been to your service? Michael Chasin: We've gotten a multitude of different responses. The two basic ones are they like this, or they don't like this. The younger attorneys like this, and think it's very cool, because it saves lots of time and exposes them to clients they never would have been exposed to in the first place. Plus, younger attorneys understand technology, and are used to sites like eBay, Etsy, and others like that. Some other attorney do want to continue to meet face to face and don't want to do this, because sometimes they believe its changing the way the legal industry plays and is creating a race to the bottom with pricing. To fix that, we actually don't allow lawyers to see prices, and they're not bidding with each other. It's a closed marketplace, behind closed doors. It's more of a silent auction. Because of that, the reception has been great. Lawyers on the platform love the experience. Although some of the more traditional lawyers have pushed back, it's been obvious that law has been the same for 100's of years, and in many cases does things in an antiquated way. It sounds like you have some angel funding? Michael Chasin: We initially started with $30,000 in angel funding from an entrepreneur here in Los Angeles. They run a few businesses and believed in the concept. Once we got our MVP up and running, we started doing research on this and went and raised around $150,000 to $180,000, for a total of under a quarter million from various people. We haven't gone to institutional funding yet. We now have around 7-10 investors, including CEOs, real estate investors, and lawyers. So you're up and running with transactions? Michael Chasin: Yes, we're doing transactions. It took us about six to eight months to build our first version, which we launch in July. We've worked out he bugs, and since then have hired a full time CTO and others. We also have a couple of grad school interns from LMU, UCLA, and elsewhere. We now have over 150 lawyers signed up in Los Angeles alone, and lawyers in a bunch of other cities, such as New York, Boston, and San Francisco. However, the majority of our transactions and lawyers are here in Los Angeles. What's the most challenging thing you've run across and what have you learned through this process so far? Michael Chasin: The most challenging part of any startup is getting in front of people, and finding customers. It turns out lawyers are pretty easy to find. Lots of them come to us, and we're starting to establish a reputation and brand in Los Angeles. Lawyers are very interested in checking out something new. Every single one of our clients who has used us, whether they've hired a lawyer or not, loves the product, and they are referring it to family and friends. The hard part, is getting in front of those people at the right time. If you think about finding legal help, it's not like you're buying a t-shirt. We're talking about an industry which is very competitive, first, and two, one that people overwhelmingly try to avoid. That's why people turn to Legalzoom and Docstoc, and use those free documents because they just don't want to deal with lawyers. The third thing, is it just doesn't come up that often. If you're a consumer, there's only a handful of times in your life that you need a lawyer. So, it's a matter of getting in front of them at the right time. We're a free service for clients, and don't charge them. So, advertising and targeting people who need you at the right time is the biggest problem. The other thing we've learned, is there is a trust factor here. Finding a lawyer is very intimate. It's like finding a doctor, except people tend to trust lawyers a lot less. You're opening up your life to someone, and doing it online. That's why we shifted from originally being a hiring platform for a lawyer, to more like matchmaking for lawyers. It's almost like a dating site for finding a lawyer, where you can set up a profile, tell them something about yourself, and in this case, the lawyers tell you what they can offer you.